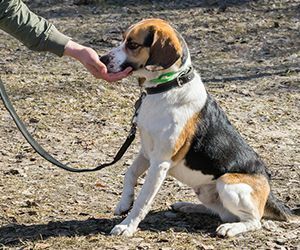 Special treats add fun to summer outings – not just for people, but for dogs, too. 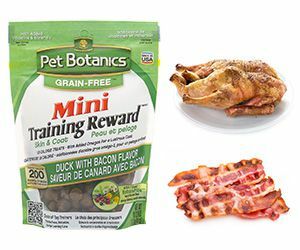 Pet Botanics Grain-Free Mini Duck With Bacon Flavor Training Rewards are the perfect zesty canine snack to take along to parks, beaches and other warm-weather destinations. With a unique combination of two tantalizing flavors -- succulent duck and sizzling bacon, they’re irresistible to canines. And because they’re so healthy and nutritious, pet parents will love them too. Meat is the taste dogs love best, which is why it’s the #1 ingredient in Pet Botanics Grain-Free Mini Duck With Bacon Flavor treats. They’re made with real pork liver, along with duck and bacon flavors, for a meaty “around-the-campfire” taste and aroma that dogs will go crazy for. No worries about Bowser begging at the picnic table when he’s got such scrumptious treats of his own! 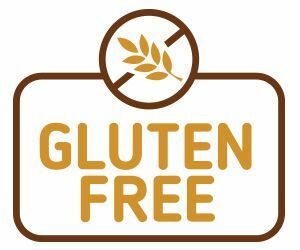 Pet Botanics Grain-Free Mini Duck With Bacon Flavor treats are formulated without grains or glutens, which can trigger allergies and digestive problems. (The last thing you want on a summer trip is for your dog to get an upset stomach!). Pet parents can also rest assured that these made-in-the-USA treats contain no Soy, Corn, BHA, BHT, Ethoxyquin or Artificial Flavors. Pet parents will also like the healthy ingredients that Grain-Free Duck With Bacon Flavor treats DO contain. 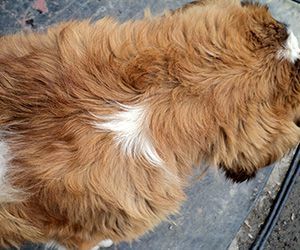 They’re packed with Omega 3 fatty acids, which add luster and shine to dogs’ coats and skin, helping prevent the dryness that can occur from exposure to the summer sun. The treats also include BotaniFits, Pet Botanics’ proprietary blend of botanical antioxidant nutrients. 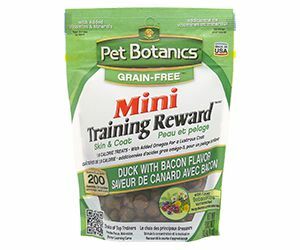 Pet Botanics Grain-Free Mini Duck With Bacon Flavor treats are ideal to use as rewards for keeping pets obedient and well behaved during a trip or outing. Their meaty taste and aroma will instantly capture dogs’ attention and motivate them to obey commands. Low in fat and just 1.6 calories each, the mini-size treats can be given repeatedly as a behavioral reinforcer without worries about weight gain. Great for taking on the road, Grain-Free Duck With Bacon Flavor treats are packaged in a convenient resealable pouch that keeps them fresh during travel. They have a soft moist texture that won’t crumble, making them easy to carry in a pocket and give to pets as a delicious, nutritious snack -- anytime, anywhere.